The Original PeachSkinSheets® was founded in 2013 and is based in Atlanta, Georgia. We pride ourselves on being The Original, One and Only Authentic Brand, and our signature peach zipper pull is featured on every sheet package. Our affordable bed sheets are made from a breathable, high performance athletic grade SMART fabric that is great for hot sleepers due to its thermal control and moisture wicking properties. In addition, the ultra soft brushed finish provides a softness level that parallels 1500 thread count cotton but without the shrinkage, wrinkles and pilling. We thrive on being a quality company with a quality product and going the extra mile for our customers. 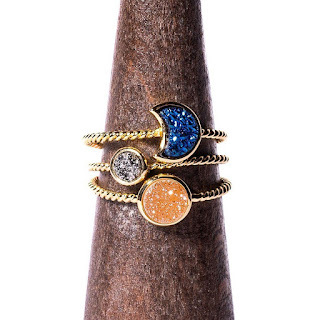 You can find us online and at local pop up events in Georgia and surrounding states. 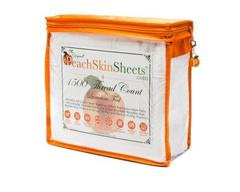 Once you've tried them, we know that you will never sleep on anything other than The Original PeachSkinSheets®! These sheets are ahhhmazing! So soft! The sheets wash and dry so easy. I love my sheets so much. Having the right sheets to sleep on really does effect the quality of your sleep. I felt like a princess sleeping. Made right here in my home state of Georgia, it is a business I must recommend to my readers. Quality sheets at an affordable price, these sheets are for me!